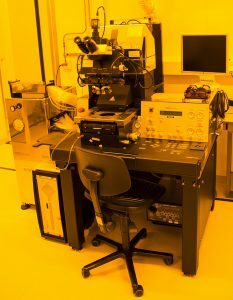 NUV optical lithography system. Patern resolution of sub micron in contact mode. This technique combines the advantages of a soft composite working for large area patterning with a rigid glass carrier for low pattern deformation and best resolution.